Wärtsilä, like any other company, is exposed to various risks through the normal course of its activities. No business can be conducted without accepting a certain level of risk, and any expected gains from business activities are to be assessed against the involved risks. The purpose of risk management is to ensure that Wärtsilä is able to effectively execute its strategies and to reach its targets, in the short term as well as over the long run. The key is to identify the risks that have the potential to restrain the company from reaching its goals, and to determine whether those risks are at an acceptable level. By definition, risk is the effect of uncertainty on objectives. An effect is a deviation from the expected — positive or negative; in other words either a threat or an opportunity. Actions need to be taken to avoid, mitigate, transfer, or monitor identified risks, or to capture and utilise the opportunities. Wärtsilä's structured risk management process offers a set of reactive, proactive, protective, and preventive tools that are used not only to protect it against threats, but also to turn some of the risks into opportunities. Risks can only be managed if they are identified and understood in advance, if risk treatment plans for managing them are made, and if a process of continuous follow-up is in place for the related controls. Therefore, risk management is a central part of Wärtsilä's strategic and operational management. Risk management at Wärtsilä is a continuous process of analysing and managing all the opportunities and threats faced by the company in its efforts to achieve its goals, and to ensure the continuity of the business. The basis for risk management is the lifecycle quality of Wärtsilä’s operations and products, and the continuous, systematic loss prevention efforts at all levels of the Group, not only as an integrated part of management systems, but as part of every employee’s daily work. In the long-term, this is the only means for reducing the overall risk related costs. Wärtsilä has a corporate level risk management policy which defines and formalises the Businesses’ risk management and reporting procedures. The document acts as a risk management guideline generating a common understanding over risk related concepts. It harmonises and structures the way of working with respect to risk management within the group in order to achieve a process whereby the risks identified are measurable and possible to consolidate. The policy brings consistency to risk management practice, provides a structure for the organisation and Businesses to handle day-to-day risk management tasks in accordance with the agreed processes, and provides a unified vocabulary to provide further guidance with respect to generic terms and definitions relating to risk management. The Businesses are responsible for the risks and rewards, and thus managing risks is in the responsibility of business management teams and individual managers. The risk management process controls exposures to risk by using systematic mapping, assessment, treatment, reporting, monitoring and control of risks, including the reporting of residual risks. Wärtsilä’s risk management process is based upon the ISO 31000 Risk Management Guidelines and Principles, and the vocabulary of ISO 31000 has been adopted in order to streamline risk related communication within the Group. The risk management process at Wärtsilä is embedded in Wärtsilä’s culture and practices, and tailored to fit the business functions and processes of the organisation. The process can be seen as a continuous loop consisting of the repetitive steps of context establishment, risk assessment, risk treatment, communication and consultation, and finally monitoring and review. The Board of Directors and the Board of Management decide and set the guidelines on strategic matters. Each Business is responsible for achieving its set strategic goals, and for mitigating and managing its risks. The Corporate Risk Management function is part of Group Treasury, which reports to the Chief Financial Officer. The function is responsible for the risk reporting process, and for conducting risk assessments with the Businesses and their underlying organisations. It co-ordinates all risk management activities within the Group, reviews the business risk profile, and cooperates with the Businesses in the implementation of risk mitigation work. It is also responsible for maintaining the Group risk management policy, and for describing the current way of working in relation to risk reporting. Furthermore, the Risk Management function develops and manages global and local insurance schemes for insurable risks. The Audit Committee reviews and assesses the adequacy of risk management, and the Internal Audit function is responsible for reviewing the risk management process on an annual basis. Risk mitigation actions are decided in the normal course of business. At its meetings, the Board of Management conducts annual Management Reviews for each Business and certain main support functions, addressing also their risks and risk mitigation. The identified risks are labelled as either internal or external; they are quantified in euro, and their probabilities are estimated. The Group risk report is then prepared and presented to the Board of Directors. Risk management is part of the Businesses’ management process and has been integrated into the Business Management teams’ agenda. The Businesses are accountable for organising and reporting on risk management from their underlying geographical business areas, business lines, organisations, and product centres. All follow-up actions are also the Businesses’ responsibility. The relevant risks for Wärtsilä have been classified under four categories; strategic, operational, hazard and compliance, and financial risks. The potential loss expectancy is highest with strategic and operational risks and lowest with hazard and financial risks. The risks in most of the categories can have both upside and downside impacts. In this regard, hazard risks are an exception, since for them only a negative effect is possible. Risk radars are used to map the main risks within the risk categories in the annual risk assessment workshops between the Businesses and the Corporate Risk Management function. During the recent years a similar risk mapping process has been adopted also with certain main support functions such as HR and the Group Treasury. Business or function specific risk radars are generated for the use and evaluation of the Business Management teams, and are reviewed and updated by them on a regular basis. The Business specific radars are consolidated into a single Group Risk Radar, which is presented to the Board of Directors and the Audit Committee once a year. The purpose is to facilitate the discussion on risk and to give a quick overview of where priorities should lie in terms of risk management. Strategic risk assessment is part of the strategic planning process within the Group. At Wärtsilä, a risk is defined as strategic if it has the potential for imposing a long-term impact on the business. Business cycles in the global economy, and in customer industries, influence the demand for Wärtsilä's products, as well as its financial condition and operating result. The flexible manufacturing model based on capacity outsourcing, together with a stable business mix with a large share of sales deriving from Services, provides Wärtsilä with a certain level of stability in a cyclical market. Important economic matters that indirectly affect Wärtsilä, its clients, and suppliers include inter alia, the liquidity and solvency of financial institutions, and thus not only their capability but also their willingness to extend credit, the counter cyclical stimulus programmes adopted by governments – especially in the power and infrastructure sectors, the enhanced activities of multilateral institutions, such as the International Finance Corporation, the availability of export credit schemes and guarantees, and other such factors. However, Wärtsilä’s relatively large order book gives the company time to adapt to changes in market conditions. The implementation of more stringent environmental regulations is important for Wärtsilä’s future growth potential, since the company’s comprehensive portfolio of products and services allows customers to meet such stricter requirements. A delay in legislation implementation may present a risk to Wärtsilä, and possible changes in the legislation timeline and scope are, therefore, actively monitored. Energy storage is emerging as disruptive technology to change the paradigm of power systems and Wärtsilä is strongly participating in the new market developments through the acquisition of Greensmith. Rapid deployment of new technologies can create new risks related to managing complex hybrid installations in an optimal way. Greensmith Energy Management System (GEMS) is proven to be an efficient and stable software to control and operate complex systems, which gives Wärtsilä a competitive advantage in managing the related risks. Wärtsilä Services’ mid- and long-term activities are expected to grow in line with the development of the existing installed base and general global economic developments. Therefore, a slowdown in global growth represent the primary risk for demand development in the Services business. Wärtsilä Services has more than 12,000 individual customers engaging in service and spare part sales annually, and the current active base of installed Wärtsilä engines is approximately 180,000 MW. Thus, dependency on any single customer or customer segment is limited. In the Energy Solutions business, the same challenges that impacted the market in 2016 continued in 2017, but not as strongly. Fragile economic growth and slow decision-making represent the primary risks for demand development. Geopolitical tensions and significant currency fluctuations can result in investment decisions being postponed in certain countries. Low oil prices have a similar impact in the oil and gas producing countries. Price pressure resulting from the challenging competitive environment remains a risk. Orders have been received from all geographic regions, thus limiting the risk of dependence on one particular market. Energy Solutions’ three customer segments, namely industrial customers, IPPs (Independent Power Producers), and utilities, were also all represented in the order intake. Wärtsilä is well represented in all the major shipbuilding markets, and is active in all the main vessel segments. This, along with the large product portfolio, mitigates both geographical and single customer risks. Conditions in the marine markets improved somewhat in 2017. However, challenges resulting from the uncertainty in the shipping and shipbuilding business environment continued to affect markets. The consolidation in the market continued in 2017 leading to a decreasing number of major shipbuilding customers. Order book levels remained on the lower side in 2017. Despite positive development in the cruise and ferry segment and slight improvement in the merchant industry, the gas carrier and offshore segments continued to suffer from overcapacity and low freight rates. The importance of fuel efficiency and environmental regulations are clearly visible, driving interest in environmental solutions, gas as a marine fuel, as well as electric/hybrid solutions. Digitalisation became increasingly important for the shipping industry’s business and operating models during 2017. The shipbuilding market continued to be dominated by Asian yards, notably China and South Korea, but with good activity also in Europe thanks to activity in the cruise and special vessel segments. In the Services business, Wärtsilä has no direct competitors capable of offering a similar portfolio of services from a single source. Excluding the networks of other engine manufacturers, there are few global players in the service market. The continued focus of customers on optimising operating expenditures can lead to an increase in competition for services where price is more important than quality. The main action for mitigating this risk is to promote the value based offering. In Energy Solutions’ larger gas-fired projects, Wärtsilä faces competition from gas turbine manufacturers, such as GE and Siemens. In smaller gas power plant projects, and in the liquid fuel power plant market, the competitors are mainly other combustion engine suppliers, such as MAN Diesel & Turbo, GE Jenbacher, Caterpillar (MAK), and Rolls-Royce. Price pressure resulting from the prevailing competitive environment remains a risk. In Wärtsilä’s addressable market, i.e. the market for installations of up to 500 MW, orders for natural gas and liquid fuel power plants totalled 25.2 GW during the twelve months ending in September. Wärtsilä’s market share was 15%. Wärtsilä’s success in the market can be attributed to its flexible power generation solution, which can be used in a wide range of different applications and power plant sizes. For Marine Solutions, the competitive landscape remained largely unchanged in 2017. The most significant competitors in the main engine markets are MAN Diesel & Turbo and Caterpillar (MAK). Wärtsilä has a strong position in medium-speed main engines with a 47% market share in 2017. In auxiliary engines, Wärtsilä’s market share was 10%. In propulsion equipment, the competition is more fragmented and varies by product category. One of the main competitors for these products is Rolls-Royce. In environmental solutions, as well as in flow and gas products, the markets are very fragmented. Alfa Laval and Evac are two of the main competitors in environmental solutions, while in the Electrical and Automation segment Wärtsilä faces competition from companies like Kongsberg, GE and Siemens. Price competition has continued to be intense in the marine markets. The strategic move of becoming a systems integrator with automation and ship design capability has proven to be important in the competition for new projects with larger and more value added scopes. The concept of selling packaged solutions reduces price volatility. Wärtsilä is present in over 200 locations in more than 80 countries and has delivered power plants to 177 countries. Political developments and changes in legislation can have a significant impact on Wärtsilä’s business. Wärtsilä actively monitors political and legal developments in its markets, and engages in dialogue with various official bodies on projects of importance to its operations and intellectual property rights. Much of this engagement takes place through interest groups and trade organisations. The company monitors political and legislative changes at both the corporate and subsidiary levels. In recent years, there has been increased regulatory activity by different governments worldwide, which has led to the need for emphasising due internal processes to ensure compliance. As an example, the continuing and changing trade sanctions were complied with and closely monitored during 2017. This has required increased internal efforts to ensure that adequate procedures are in place. Wärtsilä has assessed its sustainability risks, including climate change risks, in both its strategic and operative risk assessments. However, the risks were not found to be significant. The potential business risks related to sustainability, climate change, and Wärtsilä's products are in the areas of regulatory emission restrictions and changes in customer attitudes to using combustion engines and fossil fuels. The risks in environmental legislation changes are related to the complexity of the overall field of different emissions, the balance between commercially available fuels and their resulting emissions, available abatement technologies, the impact on overall energy efficiency, and the resulting financial feasibility of the various alternative ways to meet regulatory demands. Being at the forefront of technological developments mitigates sustainability risks and gives Wärtsilä many opportunities arising from tightening environmental regulations. Over the years, Wärtsilä has worked continuously to improve the efficiency of its products, while at the same time seeking ways to reduce emissions. The fuel flexibility of Wärtsilä's products enables the utilisation of various fuels, including gas and those from renewable sources, while their operational flexibility enables the installation of large capacity based wind and solar energy systems without hampering the reliability of the electricity grid. Wärtsilä recently entered both the solar energy and energy storage businesses; a further step in providing our customers with sustainable innovations that reduce carbon emissions. Wärtsilä's technology also enables energy to be generated with a minimum use of water. The lack of fresh water is expected to be one of the major challenges facing the world in the future. In shipping, Wärtsilä can reduce the carbon footprint of vessels through optimised ship design, and optimal propulsion solutions. Environmental solutions offer alternative technologies to reduce SOx emissions and to treat waste and ballast water. In Energy Solutions, Wärtsilä's Smart Power Generation concept supports the increase in low carbon power generation, including wind, solar, and natural gas fired plants. Wärtsilä offers several retrofit solutions for the after-sales market to reduce emissions and to increase fuel efficiency. For more information, please see the Sustainability section in this annual report. Wärtsilä aims to increase the competitiveness of its solutions and manage technology risks through solid R&D efforts and innovation. The development of new products is based on the strategic view of optimising lifecycle value for customers with modern and sustainable power solutions through, for example, gas solutions, environmental technologies, ship design, and electrical & automation solutions. As a technology leader, Wärtsilä places strong emphasis on emissions control, enhancing efficiency, and maintaining the cost competitiveness of its products. Connectivity and the utilization of data to further optimize efficiency and unlock new customer values is becoming an increasingly important element of Wärtsilä’s development roadmap. Operational risk management is part of the daily work of the Businesses. Opportunities and risks are identified, assessed, and managed on a daily basis and reported to, and managed by, the appropriate management level. The status of these opportunities and threats are reviewed on a periodic basis and appropriate further actions are taken. Wärtsilä constantly analyses its manufacturing footprint and capacity costs, including costs related to the supply chain. Risk assessments have been made for all the main delivery centres, and significant safety and risk mitigation investments have been completed. Risk identification, assessment and mitigation actions are executed on a regular basis as part of operational management. Management systems for quality, environmental, occupational health and safety, and other systems are utilised to improve productivity, while safety and business continuity plans have been implemented for the key delivery centres. Wärtsilä’s supply management is integrated within the business lines. The aim is to work in partnership with the supplier base to create value for Wärtsilä’s customers by ensuring quality, on-time delivery and the lowest total cost. In order to ensure coordinated interfaces and synergies for the cross-divisional supplier base, a category management structure has been in place since 2007. Indirect Purchasing remains a centralised function responsible for managing strategic sourcing activities for indirect materials and services in all businesses and support functions. The supply management units have a unified process for managing and controlling Wärtsilä’s supplier network, and for verifying that the suppliers’ performance meets Wärtsilä’s expectations. Supplier performance is, therefore, continuously measured. A key activity in managing business continuity planning is the regular assessment of business interruption risks, which is carried out in cooperation with the company’s suppliers. Several supplier risk audits have been completed jointly with the insurer as one means of mitigating risk. These audits are now one of the regular tasks for the supply category managers and the Risk Management function. Wärtsilä has developed its supply related activities by creating close collaboration and long-term relationships with its main suppliers. This cooperation creates a common view towards values and goals, which in turn supports the management of Wärtsilä’s strategic risks. To further mitigate supplier and sub-contractor risks, a comprehensive follow-up of suppliers’ credit worthiness has been established. Supplier related risks for key components are mitigated by establishing dual- or multi-sourcing. The launching of new products always involves risks. In the R&D process, several risk management techniques are applied, including the risk elimination tool FMEA (Failure Modes and Effects Analysis) and in-house validation testing. Wärtsilä seeks to control quality risks by monitoring the incoming quality of the supply chain, and by designing and manufacturing its products with all due care. Wärtsilä applies a GATE model in order to control the product development process. Initially, only a limited release of new products is allowed, and via the gate approach, full release authority is given to the sales organisations only after testing and further validation has been completed. As part of the on-going digital transformation, a so-called Agile way of working is being adopted in the Digital organisation, which allows Wärtsilä to test new ideas and business models quickly in order to promptly adapt to changing market needs. This approach is used for conceptualisation to avoid the risk of losing business opportunities, while products continue to go through the established GATE development. Thereby, the two models complement each other and are used in different context within the organisation. Wärtsilä seeks to control its manufacturing quality risks by applying several assurance and quality control principles. The level of quality assurance and control requirements are determined based on component criticality, and they are applied throughout the delivery chain. The 5S (sort, shine, set, standardise, and sustain) philosophy is implemented at all production sites to increase quality levels, and to support lean operations. Both Services and the business lines are responsible for supporting customers in all warranty issues. This offers a feedback loop from the field to production and R&D, while taking care of customers’ installations throughout their lifecycle. The company makes warranty provisions to cover any costs that may arise after product delivery. The company’s product liability insurance covers unexpected damages. Wärtsilä seeks to continuously improve the quality of its products and services through the adoption of best industry practices and good governance. Management at all levels is responsible for the quality of output from their organisations, and is accountable for ensuring that appropriate review and feedback mechanisms are in place. The centralised Wärtsilä Quality function is responsible for coordinating quality activities across the businesses, and for ensuring that senior governance mechanisms are in place and effective. Wärtsilä’s non-service sales include projects and equipment supply deliveries of various sizes. The most substantial orders concern turnkey power plants. However, in relation to the total volume of business, the risks from individual projects do not reach significant levels. The lifecycle quality of the products and work, starting from the initial design, throughout all stages of the production process, to the eventual field service work, plus the use of standard sales contracts, including the establishment of a contract review process, together reduce the risk of product liability claims. In the Services business, the contractual risk is related mainly to long-term agreements and service projects, such as engine upgrades, retrofits or modifications. These offerings represent approximately 25% of the total Services business, but the risks connected to individual contracts do not reach significant levels since the business between the various customers and countries is broadly spread. In addition, both offerings follow a well-defined sales process, thereby bringing multiple control points to observe embedded risks and to plan their control, both in contractual measures as well as in execution. Wärtsilä complies with the law and its own internal policies and procedures everywhere the company does business. Wärtsilä's Code of Conduct is the key guideline for all employees globally. Wärtsilä is committed to high ethical standards and integrity in its Businesses, and to preventing corruption and violations of the principles set forth in the Code of Conduct, as well as in Wärtsilä's Anti-Corruption and Compliance Reporting policies. Compliance processes are embedded in all of the Businesses, and the responsibility for compliance and awareness of ethics and integrity is that of all Wärtsilä employees. Wärtsilä is fully committed to compliance with the anti-corruption laws and statutes. Wärtsilä's Anti-Corruption Policy absolutely forbids any kind of corruption and bribery, and the top management of the company has a zero-tolerance policy regarding corruption and fraud. The Compliance function promotes Group wide compliance and continuously strives to raise awareness of the risk of corruption and bribery and other misconduct. It is primarily responsible for creating and enforcing Group level policies and procedures, training programmes, internal compliance investigations, managing the consequences of misconduct, and reporting. The continuous development of Wärtsilä's compliance programme and nurturing the company’s commendable ethical culture are pivotal tasks for the Compliance function. Moreover, Compliance supports and cooperates with the Businesses and other corporate functions in their risk management efforts. Wärtsilä has a Group-wide programme for strengthening its Code of Conduct which aims to increase employees’ understanding on how the Code of Conduct impacts the everyday work at all Wärtsilä locations wherever Wärtsilä operates. While Wärtsilä is aware of the risk of being subject to fraud by external business parties, and that the risk of corruption and fraud is heightened in many markets where the company operates, Wärtsilä maintains its highly ethical practices at all times. Full compliance with its stringent anti-corruption regime, including policies to prevent the corruption and bribery risk of third parties, is demanded by Wärtsilä. Wärtsilä has an internal organisation dedicated to cyber security governance and management. This organisation, in cooperation with Wärtsilä’s divisional business management, is responsible for Wärtsilä’s cyber security governance and management in connection with its customer offerings and internal operations. The Wärtsilä cyber security governance model ties together traditional safety and security functions with cyber security operations. Information security risks related to Wärtsilä’s internal operations are continuously identified and evaluated. The mitigation activities are executed in Wärtsilä networks, endpoints and services. 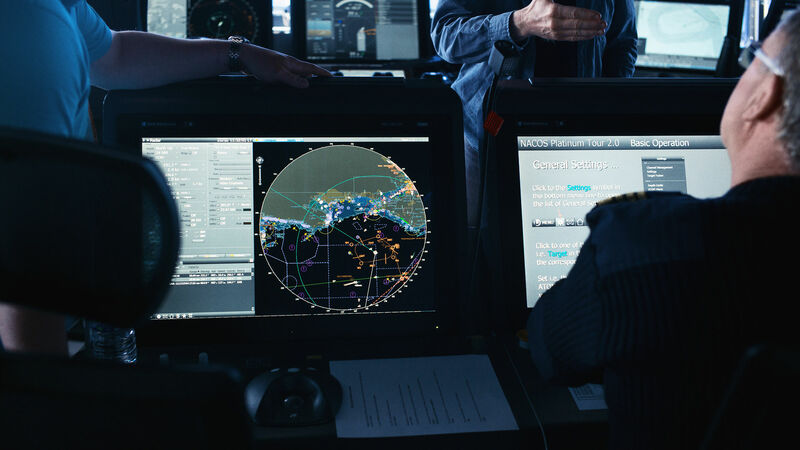 The Wärtsilä Security Operations Centre monitors the internal threat exposure level and provides a coordinated response to identified information security incidents. At Wärtsilä the businesses are responsible for monitoring the regulatory developments in the maritime and energy production sectors, thus securing that the company's offerings are compliant with the applicable regulations now and in the future. In context with cyber related regulation, the businesses are supported by the Cyber Security function. The direct effect of oil price changes on Wärtsilä's production is limited, with their impact being mainly demand related. Higher oil prices represent a risk for global economic growth and increase operating costs, especially in the shipping markets. However, they also stimulate investments in exploration and production for oil and gas, both on land and offshore. Furthermore, high oil prices increase investments in gas carriers, gas-based power plants and, increasingly, also in gas-fuelled vessels. Low oil prices can delay investment decisions in oil producing countries and regions, as well as in the offshore industry. Wärtsilä is a global company involved in different shipping and power plant segments where oil price changes can have an opposing impact on demand drivers. This position is further diversified by the increasing importance of natural gas in Wärtsilä's business. Metal prices have an indirect effect on the component costs of Wärtsilä’s products. Furthermore, some key components are sourced with long-term contracts, and thus raw material price volatility is limited. Electricity prices have no substantial impact on Wärtsilä’s production costs. In the Energy Solutions business, high electricity prices support investments in new capacity by utility customers. Lower grid electricity prices do not favour investments in their own generating capacity by industrial customers. Occupational health and safety systems, travel safety instructions, and crisis management guidelines are aimed at protecting Wärtsilä employees. Appropriate insurances are in place for the personnel, and to emphasise the importance of employee safety, the Board of Management has decided on a corporate level target of zero lost-time injuries. A specific Zero Injury project exists for this purpose, and the target is a part of the company’s sustainability programme. During 2017, the near-miss reporting system, WeCare, has been actively used worldwide in order to manage information related to incidents that can threaten the safety, health and security of the company’s employees and operations, as well as the environment. This IT solution provides a guide for identifying the causes of incidents, and for taking all appropriate actions in a systematic way. Environmental management systems are in place to mitigate environmental hazard risks. Wärtsilä maintains a register of all properties used and gives guidelines for the purchase, sale, rental and security of premises, and uses external advisors for environmental audits. None of Wärtsilä’s major facilities are located in natural disaster areas. Catastrophic peril related scenarios are identified and, where necessary, exposures are mitigated by, for example, elevating sites above the flood risk level or by constructing flood dikes. For Wärtsilä’s main sites, business impact analyses have been conducted and continuity plans created to cover both property and business interruption risks. The risks that Wärtsilä is unable to influence through its own efforts are transferred whenever possible to insurance companies. Wärtsilä uses appropriate insurance policies to cover indemnity risks related to its personnel, assets, and business interruptions; including supplier triggered interruptions, as well as third-party and product liability. Wärtsilä has established its own captive insurance company, Vulcan Insurance PCC Ltd, as a risk management tool. The company is located on Guernsey for insurance technical reasons, and it insures only Wärtsilä’s own property. Vulcan Insurance PCC Ltd is subject to normal taxation in Finland. Wärtsilä's financial risks are presented in the notes to the financial statements, Note 29.